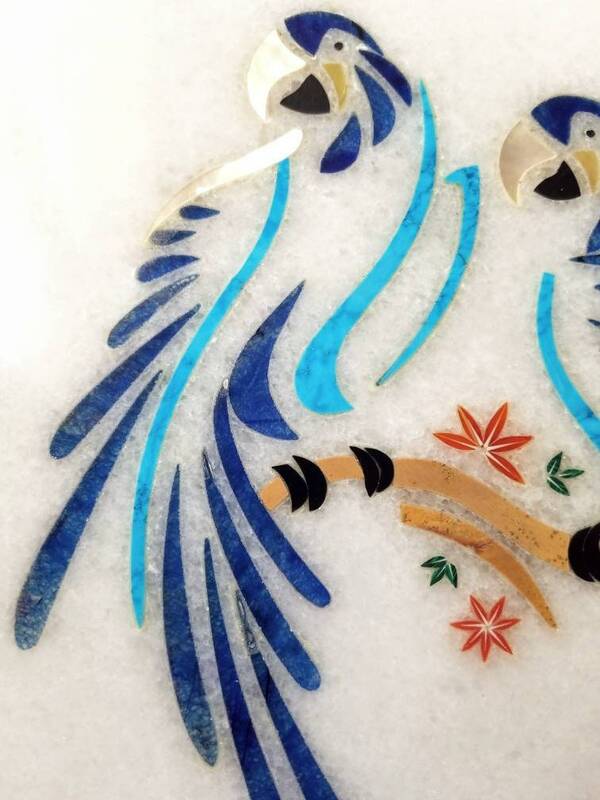 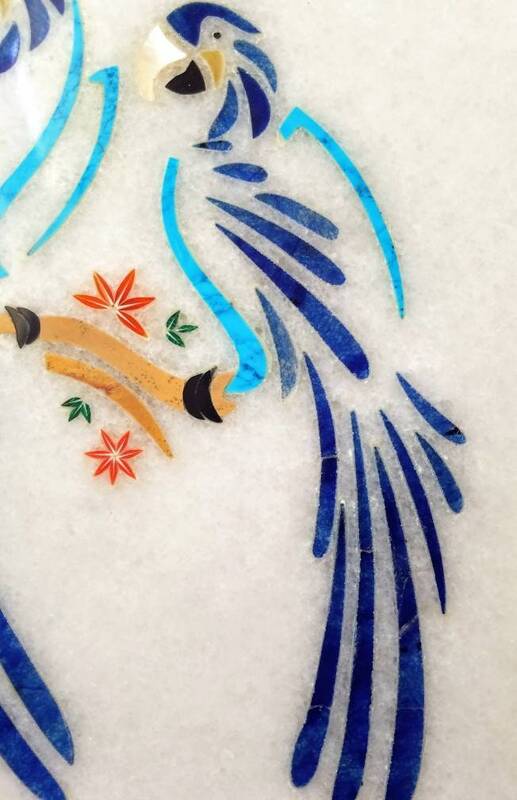 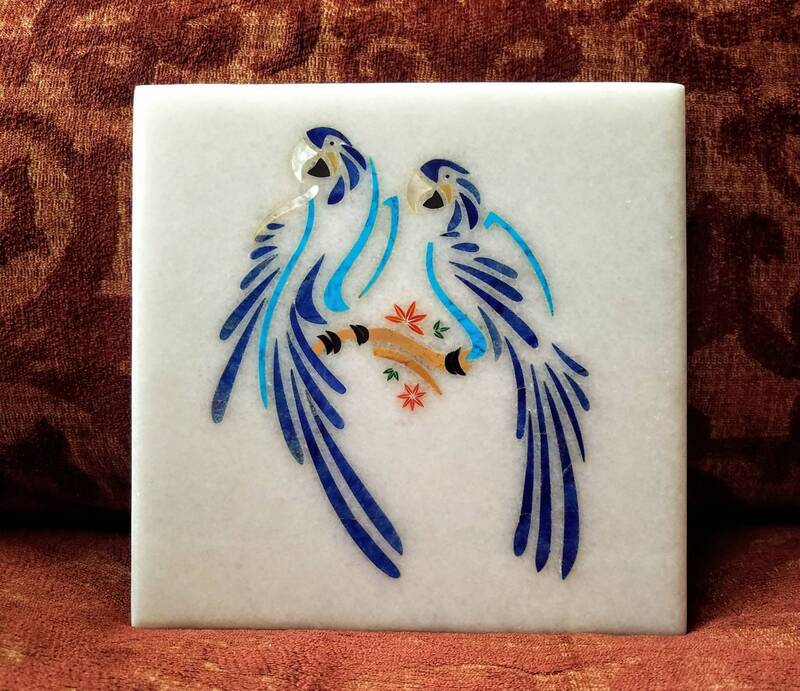 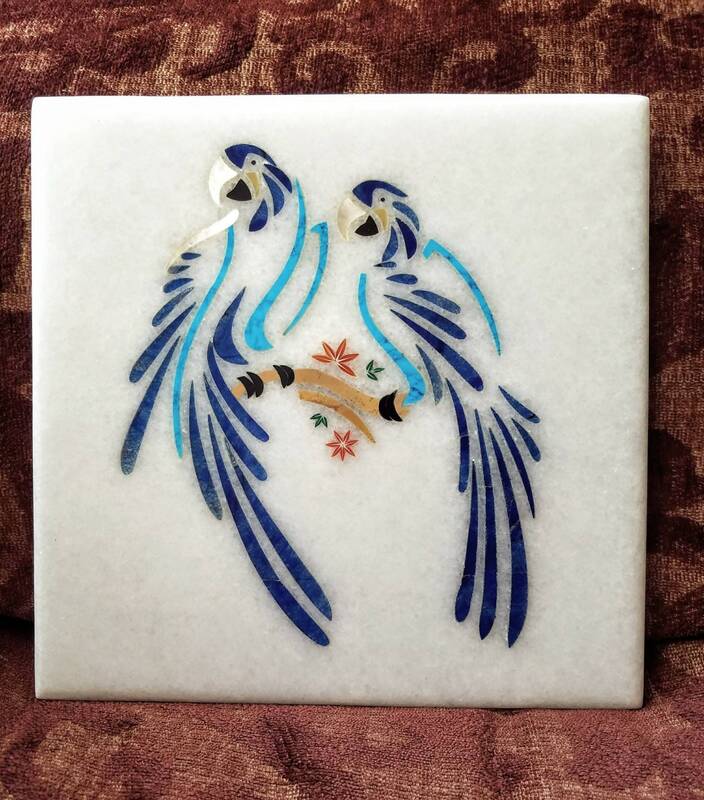 Beautiful parrots of semi precious stones inlaid in white makrana marble. 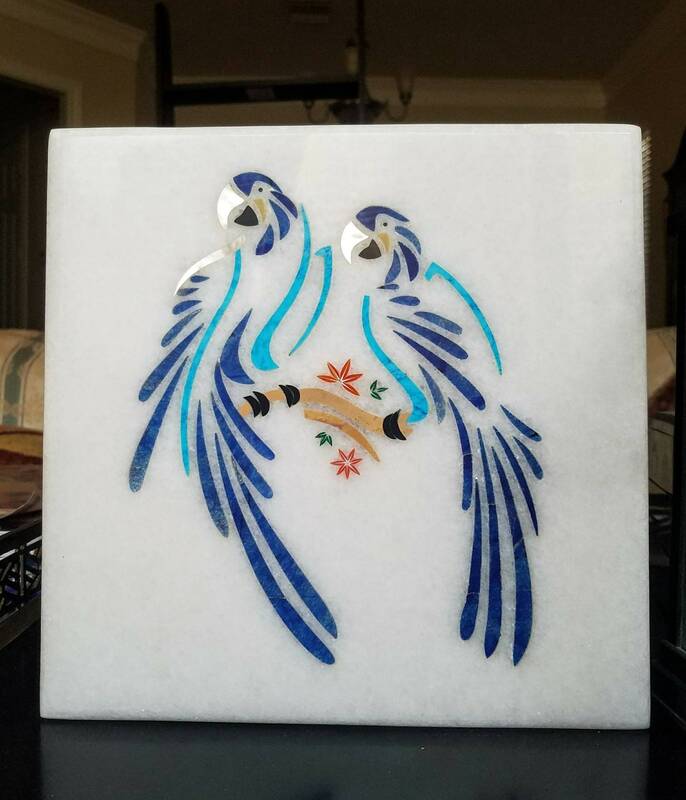 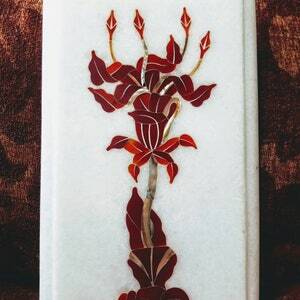 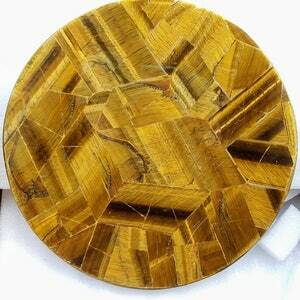 Made by a master craftsman in Agra, India, site of the famous Taj Mahal, where they have being doing marble inlay since the construction of the Taj Mahal in the mid 1600's. 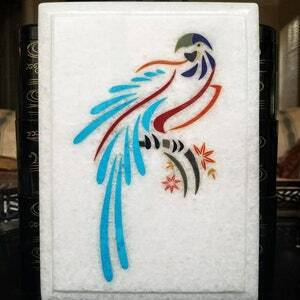 Makrana marble comes from a quarry in Rajasthan, west India and is the same marble used in the construction of the Taj Mahal. 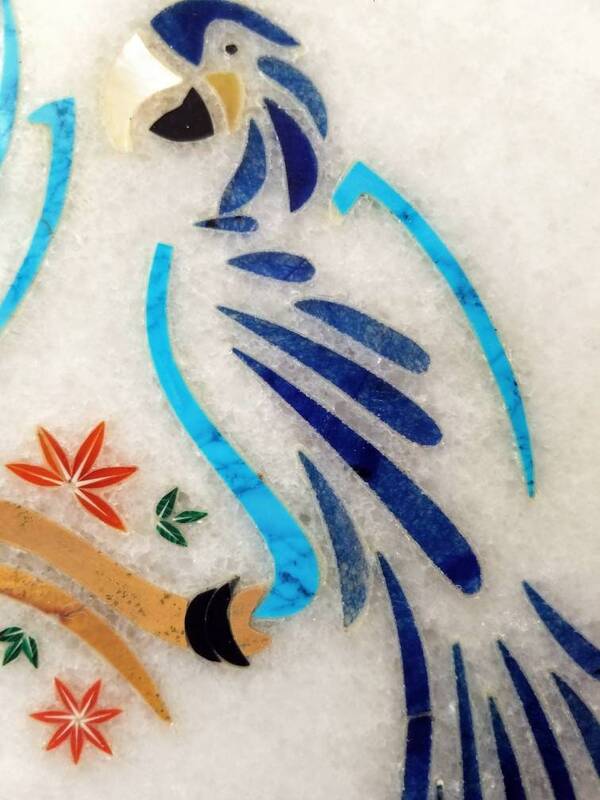 Fresh design and expert marble inlay craftsmanship. 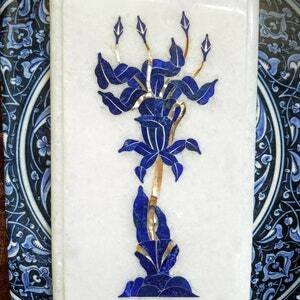 Seamlessly inlaid with genuine semi precious stones - lapis lazuli, turquoise, carnelian, onyx, mother of pearl. 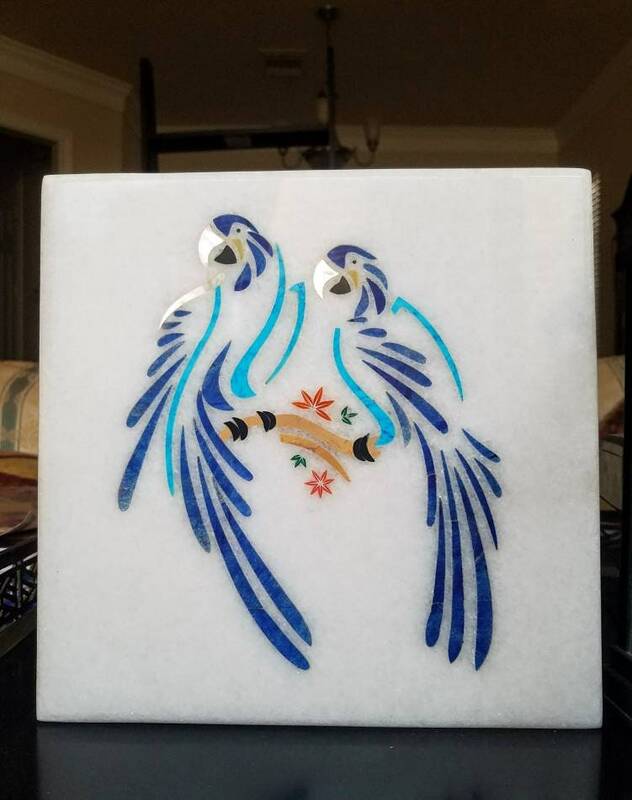 Reminds me of a Picasso drawing, with its fluid lines and great simplicity that captures the essence of the subject well.